An ice cream cone hangs on the wall of Chloe Lamford’s studio at Somerset House, with a cut-out hot dog propped up just underneath. Next to it are two huge semaphore flags and a couple of retro, foldable chairs. Images, big and small, are dotted round the room: Pina Bausch’s bed of roses, a body loaded with suitcases, a skeleton dancing free. On a shelf, above an assortment of play texts and spray cans, an orange Gummi Bear basks beneath a paper sun in the shade of a small indoor kentia palm. It’s typical of a Lamford-designed space: jaunty, a bit silly and teeming with stuff. You can pick her designs out a mile off, but it can be tricky to pin down quite why. They share a certain spirit that’s not easily defined. 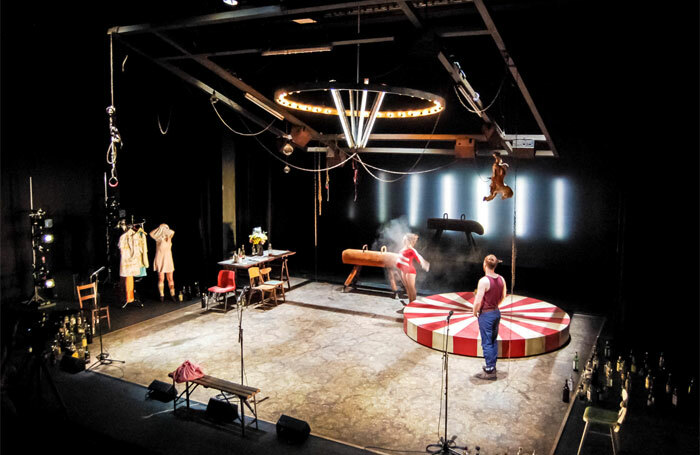 When Lamford works with collage, placing an assortment of objects on stage in lieu of a set, it’s immediately obvious – none of her British peers work the same way. 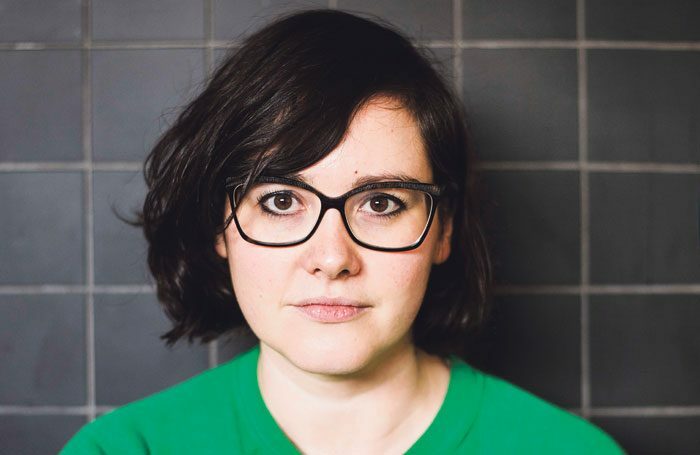 Frances Ya-Chu Cowhig’s The World of Extreme Happiness was fleshed out with cardboard cities, rainbows and a hoard of waving cats. The Hamilton Complex had plastic ruins, an oil painting and a mannequin horse. Director Michael Longhurst, with whom she works regularly, christened her style the “Lamford Pile”. But clutter isn’t all she does. Lamford’s work has genuine range. Simon Longman’s Gundog at London’s Royal Court played on bare mounds of mud in front of foggy walls, Amadeus at the National Theatre sat on a vast empty sound stage, and for director Katie Mitchell, Lamford tends to make crisply realistic rooms. The constant across such differing designs is a considerable, charged theatricality. 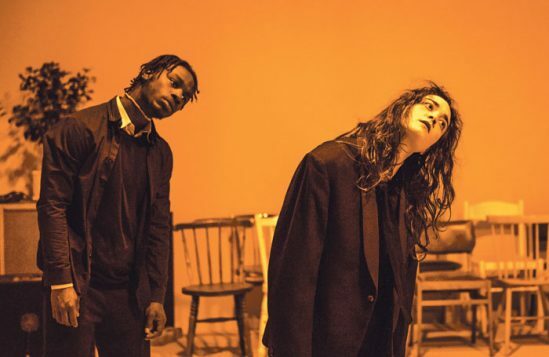 The Crucible – a Watford Palace Theatre education tour with three people and a van. It’s a long haul, but you really should enjoy the journey getting there. And if you’re tired, go to bed. The novelist Ali Smith, visual artist Anne Hardy and photographer Nan Goldin. A photographer or a barmaid. I used to enjoy working in a bar – lots of chat. I always photograph the first dress rehearsal, so I can get some distance on how it’s all looking. In person, Lamford is more effusive and less direct than those words suggest. Aged 37, she’s amicably goofy, and thinks rigorously but impulsively, chasing thoughts round her head. “My brain does that,” she says, coming to a stop. “It just gets excited and so, off it goes.” Her work does something similar; instinct leads the way. Even so, Lamford took a long time to establish herself as an artist. 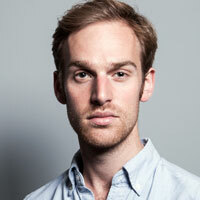 Most designers get a springboard on the way to success: a Linbury Prize nomination will get their name known. 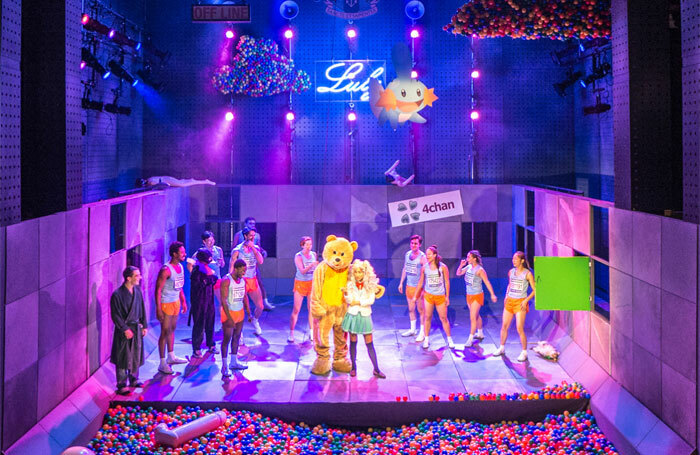 On graduating from Wimbledon School of Art in 2002, Lamford missed out on such recognition and instead cut her teeth on theatre in education tours with Watford Palace near her family home. It was three years before a gig came from elsewhere. Her rise was slow and steady rather than explosive. What makes Lamford’s designs so engaging is the very thing that makes them hard to write about. She’s a designer who makes spaces rather than sets and who works not with legible, decodable signs, but with more slippery things: associations, feelings and moods. She continues: “I remember saying to somebody once, ‘I think I can move people with scenery.’ It was a bit of a weird thing to say, but, actually, I love it. I think I can design with feeling. I design feeling. 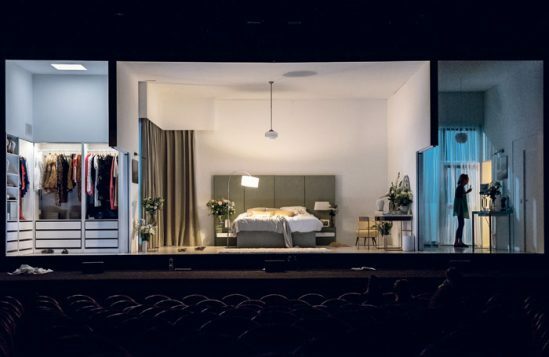 It’s why I’m so obsessed with things moving, and the kinetics of a show, because time and space is choreographic.” Design is not an object, still less a set – it’s an integral part of a theatrical event. At the end of Tim Crouch’s Beginners at the Unicorn Theatre, four kids put on a play for their parents. 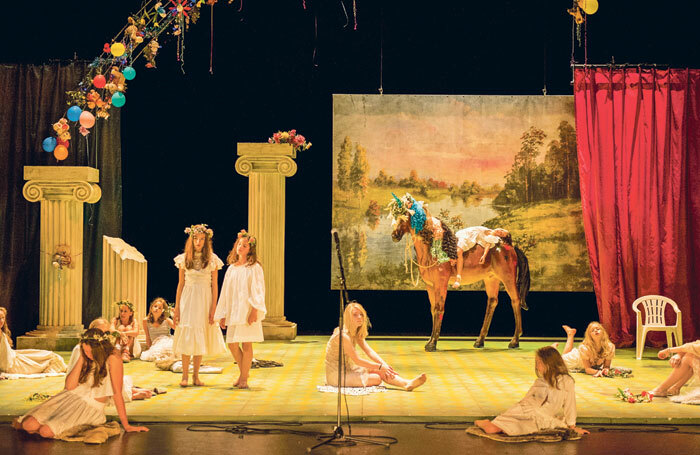 Lamford’s bare yellow stage, co-designed with Camilla Clarke, blossomed into a wonderland. Giant flowers flew in. Sparkly stalagmites sprung up. 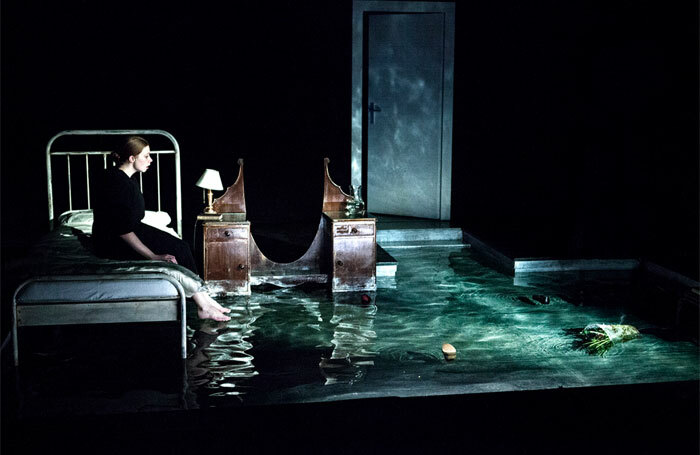 She pulled a similar coup to end Anthony Neilson’s Unreachable at the Royal Court’s Jerwood Theatre Downstairs: a cherry blossom forest materialised like a mirage, sunlight cracking through the canopy. Both made the audience marvel. 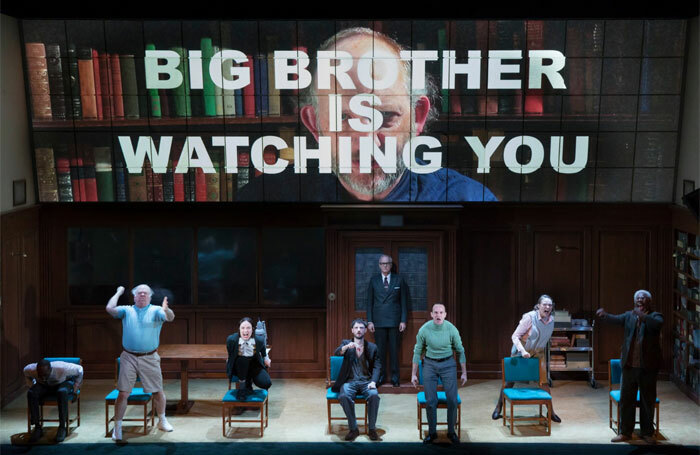 For Robert Icke and Duncan Macmillan’s 1984 at the Almeida, Lamford had her set ripped completely apart – violently – to make Room 101. As the refugee crisis worsened in How to Hold Your Breath, her stage floor burst open like a breaking wave. 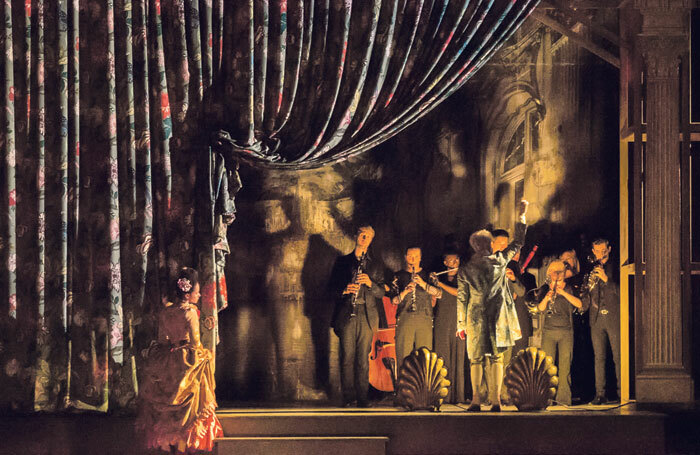 In Amadeus, when a swelling Kyrie ended the first half, she thrust a silhouetted orchestra straight at the stalls. Even Lamford’s stiller sets have an energy to them, which hums from a sense of potential. For Gundog, the absence of movement was precisely the point; clouds swirled slowly behind the thickset, stodgy mud. 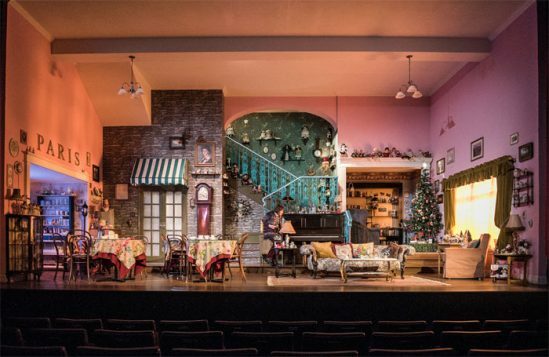 In Annie Baker’s John, dozens of dolls looked down on the action like an inanimate audience, almost capable of coming to life at any moment. Many of her designs feel strangely unstable. That may well be what makes them quite so theatrical. It’s rooted in instinct; she starts with a text’s feel and scribbles down ideas: “I used to sit with bits of card for a long time, but now I can jump to an idea much more swiftly.” Often those impulses turn out to be right. “It’s a muscle: going with your gut is rehearsed.” Lamford’s process is “super-responsive” – to a script, to collaborators and to spaces themselves. It exists at the intersection of all three. She says: “I try to work from the inside. I think it’s why I’ve ended up in new writing.” Rather than imposing concepts on classics, she prefers to find ways of framing and focusing writers’ work. Other challenges are more fundamental: “Different countries have massively different ways of working.” Each involves getting to grips with new production processes and timescales, as well as different contexts and audiences. “They can be completely different. They read in different ways, their references are different, so your ideas are legible in a different way.” The big one, Lamford reckons, is between narrative-focused Brits and visually minded, conceptual Europeans. Try not to give yourself too much of a hard time. You’ll beat yourself up for years, but don’t give yourself a hard time. 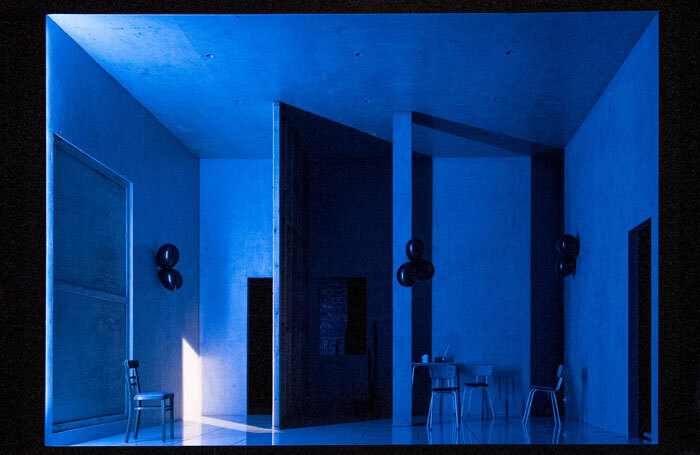 Knowing the Court’s two auditoriums inside-out, Lamford has sought new solutions to the spaces – for Victory Condition and B, she constructed a box set that floated in a huge scaffold frame. For other projects, she has shifted the design timeline within the production process: in some cases, by starting early and thinking bigger, while in others sitting in during the devising process and delivering later. Joined-up thinking can have other benefits, keeping costs down and sustainability up by repurposing one set for another show. The Court has given her space to experiment, too. Last summer, she created the Site in its rehearsal room – a temporary studio theatre clad in sea-blue soundproofing – and helped commission four plays written especially for it. Six months later, at Christmas, she co-created an installation-style staging for Julia Jarcho’s Grimly Handsome. Audiences explored an abstracted American small town before the show, and watched the action unfold silently through windows. 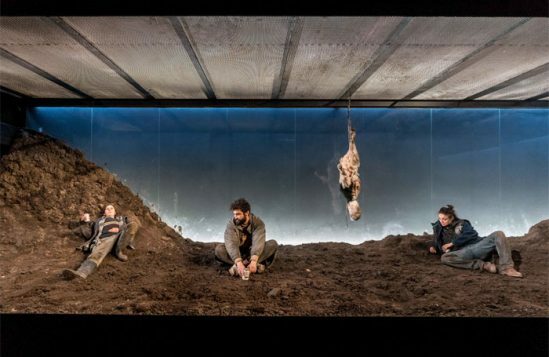 It completely shifted the viewers’ sense of the play, turning them into voyeurs titillated by violence.